Here at The Law Offices of J. Jeffrey Herman, we understand the obstacles burn injury victims face. Call us today and schedule your initial case review with Oxnard burn injury lawyer. Posted in Burn injury attorney on Thursday, Nov 02, 2017. The deadly wildfires across California have killed at least 42 people and destroyed the lives and livelihoods of residents returning to the devastating region. About 23 million tourists visited northern California last year to enjoy the fine wine. But fine-wine production is not the only thing being affected. The homes and business of many residents are completely destroyed. It is going to take a while to rebuild these communities. 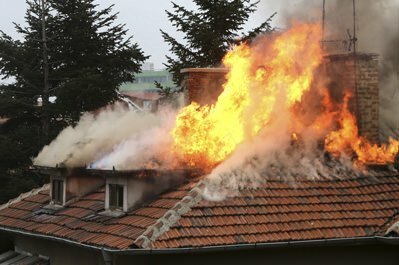 If you or a loved one has been affected by a fire, contact a burn injury lawyer Ventura County. Federal officials have taken the first steps towards recovery by surveying properties and dangerous waste. More than $8,900 properties are destroyed but reconstruction may not begin in months. The financial damages haven’t been calculated, yet they are expected to be huge. The state’s wine industry produces 85% of American wine and exports 97%. Last year they sold $34 billion. Meanwhile, residents also wait to figure out the fate of their properties. Even people who have not been affected by the fire may suffer damages from the lingering smoke. Also, residents in farther regions have been instructed to stay indoors. A day of remembrance for the victims has been proclaimed by Gov. Jerry Brown. Many people are still mourning yet they find the strength to help survivors while also rebuilding their own lives. More than 150, 000 acres were burned in Sonoma. Other counties such as Napa and Solano have also suffered significant damages. Efforts to remove the debris continue. It will probably take months to clean up the affected areas and years to rebuild homes and structures. Yet the hardest part is finding housing for thousands of families and workers who come to these cities to help rebuild. These fires have been the worst in history. The exact causes of the fire have not been determined. They are still under investigation. Officials were investigating whether downed power lines have been the cause but they are not sure. Some recordings found show that fire crews were sent to at least 10 areas in Sonoma County due to sparkling electrical wires and also exploding transformers apparently caused by high winds. The focus right now is on ensuring the safety of those affected by the fire rather than figuring out the causes. Yet some critics insist that power equipment failure has been the cause of most wildfires and nothing has been done to fix it because it is too costly. Our thoughts and prayers are with all those affected by northern California wildfires. Some personal injury attorneys in the region are accepting cases and investigating the causes. There are allegations against several cities across the state. We hope that everyone affected by these fires finds the comfort and financial support they need. Here at The Law Offices of J. Jeffrey Herman, we understand the obstacles burn injury victims face. This is why we help them recover the settlement they deserve. Call us today and schedule your initial case review with Ventura County burn injury lawyer J. Jeffrey Herman to discuss your case.